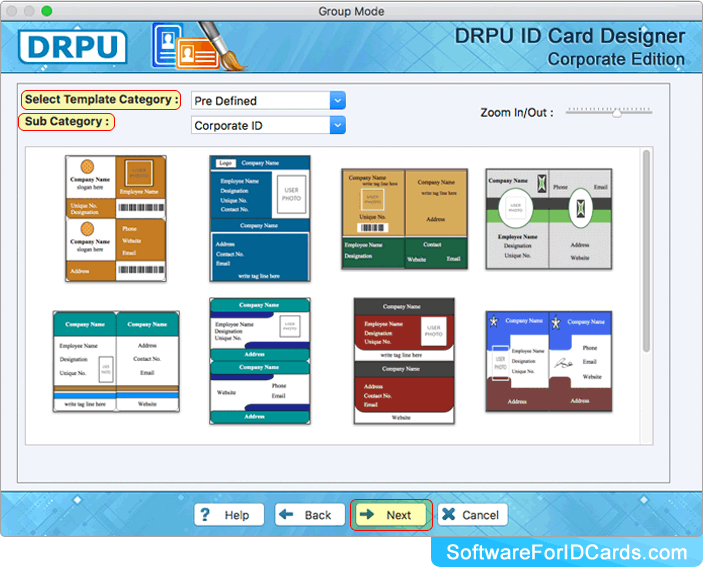 Software provides five modules to design ID cards, choose any one module. In Live Group and Batch Processing Mode, there are two options available: 'Start with new Project' for creating new ID cards and 'Select existing Project' for modification in existing ID cards . 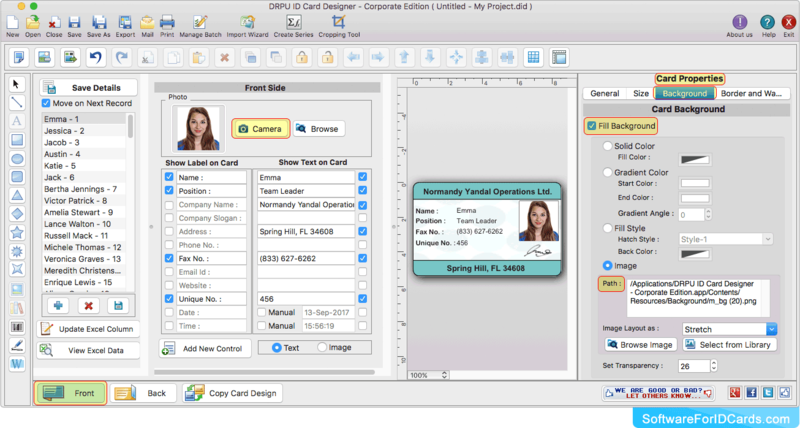 Software provides various pre-defined templates to choose any one ID card design sample. Select excel column for ID card details and click 'Next' button to continue. Design ID card according to your requirement using various card designing objects and card properties. Software provides camera settings feature to capture image of user to add on ID card. 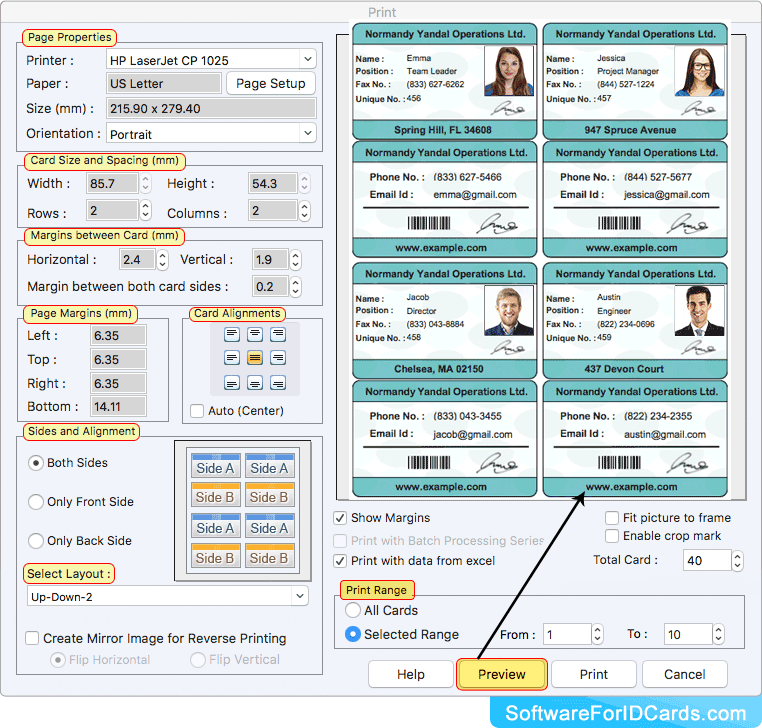 To print your designed ID cards, adjust various print settings and click Print button. Click on Preview button to see the preview of ID cards.